A world-leading marque deserves a world-class publication. Aston Martin has created many of the world's most exciting and desirable sports and racing cars. Cars with a rich engineering pedigree, timeless beauty, fabulous performance and a uniquely English character. Now there's an independent magazine that fully reflects this special blend of attributes. 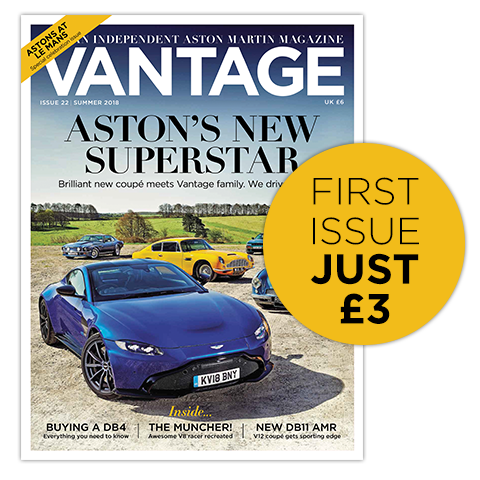 Brought to you by the publishers of Octane and Evo magazines, Vantage is the only independent magazine focusing exclusively on Aston Martin. The editorial team includes some of the most experienced writers and photographers in the business, led by editor Richard Meaden, who as well as being a hugely experienced road tester has raced for the Aston Martin works team. Other contributors include racer and writer Mark Hales, leading historian Doug Nye, and former editor of evo magazine Peter Tomalin.